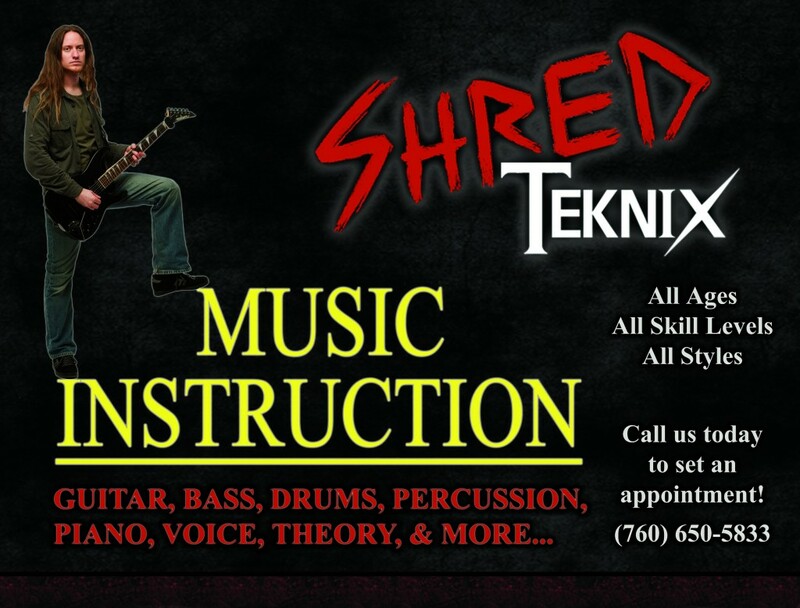 SHRED TEKNIX is a small team of educated and experienced music instructors. We are focused on advanced musicians and songwriters, but we work with all levels and all ages. We have instructors specialized in guitar, bass, drums, percussion, piano, voice, theory, and more. Media Packages available…Audio, Video, and Lesson plan materials. Ask for more details, customized for you. Whether you’re getting ready to move to Hollywood to become the next big star, or just seeking a better music instructor to help unlock your child’s potential, having the right instructor is essential. Ryan and his team’s teaching style is focused on improving memory development, synchronizing hand-eye coordination, inducing relaxation & calming, increasing the power of healing & studying, and strengthening music appreciation. Ryan and his team offer everything you need to get you closer to achieving your dreams with music, while making it fun, educational, and inspiring. 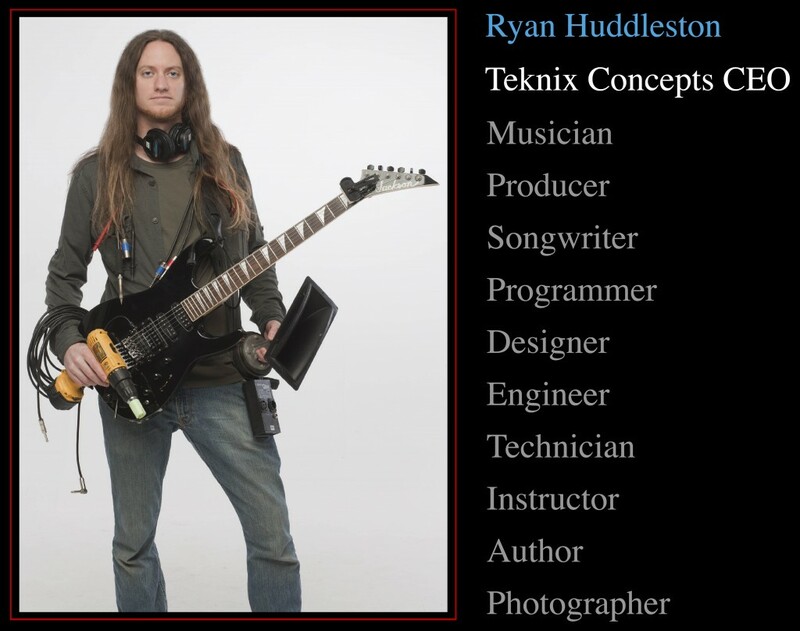 With Ryan’s tools, experience, & resources they help you break out of the box, and provide new ideas & insights to old concepts; for all instrumentation and music genres, song writing & music theory, technique & chop development, aspects of recording & live performance, programming complex MIDI & computer configurations, servicing your own gear, and so much more. So now that you’re ready to put down the guitar video games and become a real musician, we can cover all the steps necessary, from putting your first strings on to mastering all the rock-god poses. Give yourself the full experience of performing like a Rock Star with Shred Teknix Music Instruction. Instrument and Amplifier Repair Also Available! Joss Stone, Impentris, Anarthia, Hurizon, Julien-K, Get Back Lorretta, Jack the Original, Call me Alice, Etched in Red, Shooters, Mother Mai, Good Intentions, Friction Switch, Costillo, Wither, Free to Burn, Resonant Beauty, Theleventhour, MiraCosta College, Rancho Buena Vista High School, String Masters Custom Guitar Shop, and more. See the complete List of Clientele. Call for an appointment, or send us an email. *All Teknix Services Are By Appointment Only.